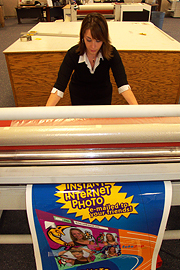 We can laminate items up to 60" wide. There are a variety of different laminates available. We can either encapsulate an item in laminate or surface laminate an item that has been mounted to substrate.